FARGO – Bob Berg wore the Pullman-brown jacket and drove a matching-colored UPS truck throughout North Dakota until he retired, faithfully deducting his salary every month to fund his pension. Now, he’s getting far less than he saved for and was promised. 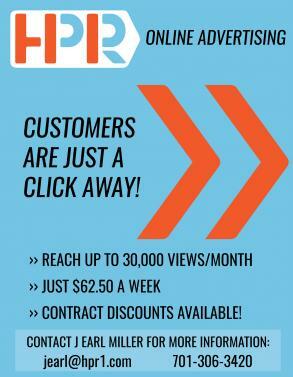 His pension has taken a $700 monthly hit, and insurance rates have risen by $400 each month. Dennis Kooren also wore the same iconic jacket for 30 years, retiring in 2007. Until three years ago, his pension came in full, and then the government wanted to begin deducting 50 percent. He didn’t accept the deduction, and began fighting back. His has been a lonely battle until recently. The media isn’t reflecting the seriousness of the situation. Legislators ignored him. 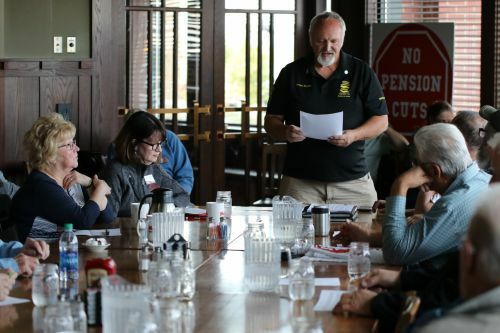 Local Vietnam veterans, truck drivers, glass glaziers, grocery store employees, and union members – all Baby Boomers – were gathered during a scheduled meeting of the Fargo Committee to Protect Senior Rights at Marlin’s Family Restaurant. A representative of U.S. Congressman Kevin Cramer’s, Lisa Givens, sat on one side of the room, while another representative of U.S. Senator Heidi Heitkamp’s, Justin Hanson, sat on the other side. A young face in the crowd stood out as she rose to speak. Callie DeTar’s father Bill Burns died last year at 65 years old due to the stress of fighting for his pension as a retired glazer from Fargo Glass & Paint. The worries of losing his pension gave him anxiety that his body eventually succumbed to, DeTar said. Berg, Kooren, DeTar’s father, approximately 2,000 others in North Dakota and millions across the nation are now being treated as second-class citizens. Promises made by the federal government are being taken away. Their votes don’t seem to count, and they have become targets of hate. Their insurance is being taken away. Their very survival at the end of their lives is at risk. 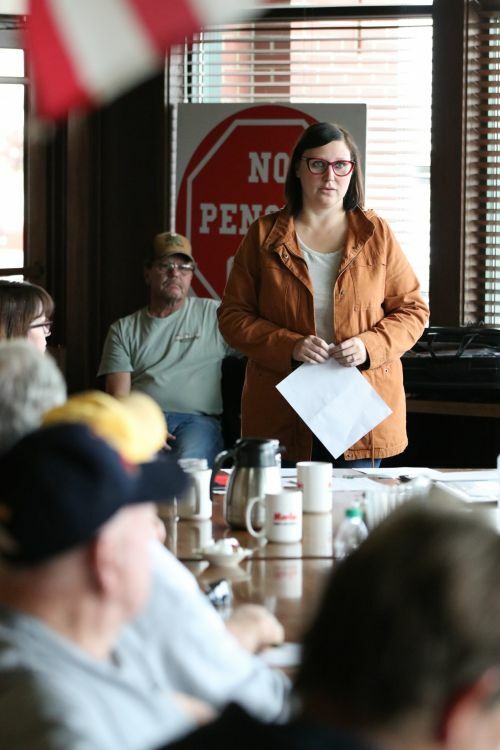 Kooren, the unofficial leader of the Fargo Committee to Protect Senior Rights is fighting to protect what was once-guaranteed pensions. Berg, who has organized dozens of fundraisers including a 2004 truck drive that tripled the Guinness Book of World Records mark, is fighting along Kooren’s side. DeTar, 33, is new to the group, and recently traveled to Washington, D.C. speaking to senators about their concerns. Her pleas for help were met mostly with dumbfounded stares and little to no concern. A vague letter from President Donald Trump thanking her for sharing her father’s story, promising to put “Americans First” isn’t helping either. At home in North Dakota, however, the group found an ally with Heitkamp, who reworked a draft proposal from the Teamsters and turned it into a bill presented to Congress. Current U.S. 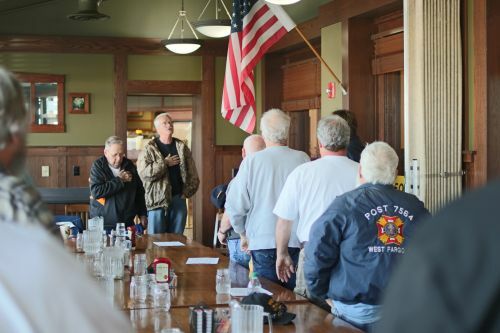 Congressman Kevin Cramer later signed on to the bill, called the Butch Lewis Act, named after a Vietnam veteran who died while defending his generation. “These workers and retirees followed the rules and did everything right,” Heitkamp said the day she announced the Butch Lewis Act in Bismarck. “They worked for years, if not decades, in jobs that took tolls on their bodies, saving for retirement the whole way and expecting those savings to be there for them. Now, through no fault of their own, the rug will be pulled out from under them. The Butch Lewis Act and its House companion bill, the Rehabilitation of Multiemployer Pensions Act, would issue bonds in order to loan money to ensure retirees are guaranteed promised benefits. For once agreeing with Heitkamp, Cramer, who is now in final laps of a heated race for Heitkamp’s Senate seat, was the second Republican to sign on to the bill, saying the proposal is the only bill that takes a serious approach to solving the pension crisis. 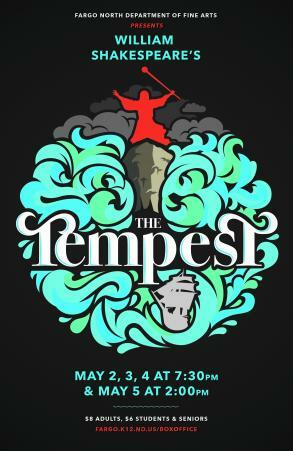 The once ironclad pension fund for government employees with lackluster jobs, truck drivers, soldiers, UPS delivery men and women, Fargo Glass & Works, and many other businesses around the nation is nearly bankrupt. Underfunded by $4.4 trillion – equivalent to the total economy of Germany – the lack of funds threatens to trigger another global economic meltdown and leave thousands in North Dakota, millions across America and the world, without an income in their last days. The pension industry is complex, globally interconnected. The worldwide net effect is much larger with a $78 trillion shortfall in pension obligations. The first corporate pension plan in the United States was established by the American Express Company in 1875. Banking and railroad companies including Standard Oil, US Steel, AT&T, Goodyear, and General Electric, followed suit, and by 1921 the Internal Revenue Act helped spur growth by exempting contributions made to employee pension funds from federal corporate income tax. By 1950, approximately 10 million Americans had a pension, and ten years later that percentage grew to nearly half the private sector. When the pension fund was under Teamster management, tens of millions of dollars were loaned to racketeers who invested in casinos, and yet the same era is historically noted as the safest time for the pension fund. When some pension plans began to fail, however, the government enacted the Employee Retirement Income Security Act in 1974. Since 1982 the fund has been run by prominent Wall Street firms and monitored by a federal court and the Labor Department. All was quiet on the pension front until the economic crisis of 2007 and 2008. Monies were invested poorly and mismanaged. Banks were bailed out, but not pension policies; accounts were robbed from Peter to pay Paul. 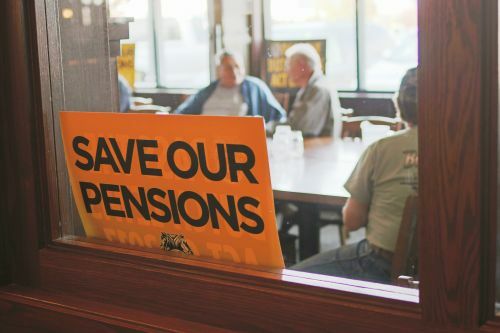 The Central States Pension Fund, one of the nation’s largest multiemployer benefit pension plans with more than 400,000 participants, reported a number of reasons for the monumental collapse, which depleted funds from the Central States Pension Fund of more than $9.4 billion, according to the Internal Revenue Service. A final reason is that since 2008 three major trucking companies went bankrupt, leaving the fund $1.7 billion short. 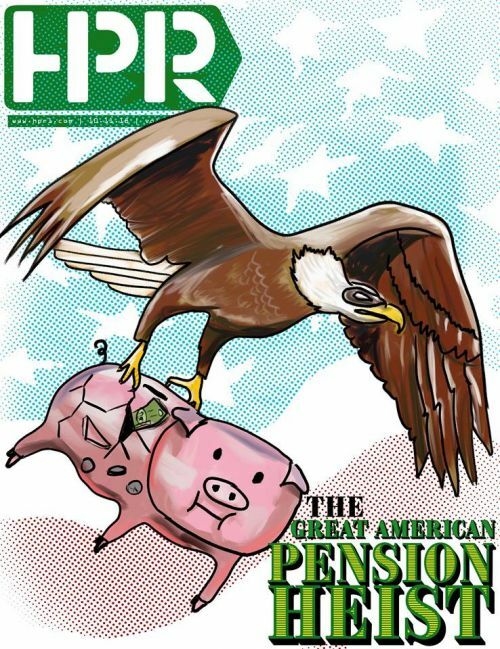 Even though the market has rebounded, and the federally funded Pension Benefit Guaranty Corporation or PBGC is supposed to guarantee pensions and cover payments when needed, funds are still desperately lacking. Attempts to resolve the downward spiral came in 2004 when the Central States Pension Fund eliminated early retirement with full benefits, and then in 2010 when the Fund supported the “Create Jobs and Save Benefits Act,” which failed. Congress had no interest in the bill. North Dakota’s pensions are currently 63.1 percent funded with per capita income of $55,802, according to the Wall Street Journal, which makes the state fourth in the nation for pension security. But more than 100 municipalities have filed for bankruptcy and an equal number of cities were placed under emergency manager control within the past 12 years in the United States, according to Bloomberg, which when combined will effect funds in all states. In a December 6, 2017 testimony to the Special Committee on Aging U.S. Senate, Laurie McCann, a senior attorney with AARP Foundation, said that the fight for the elderly is a two-edged sword. Along one edge, reports of companies trying to nudge elderly workers from the workforce have increased, while along the opposing edge retirees no longer have guaranteed lifetime incomes. 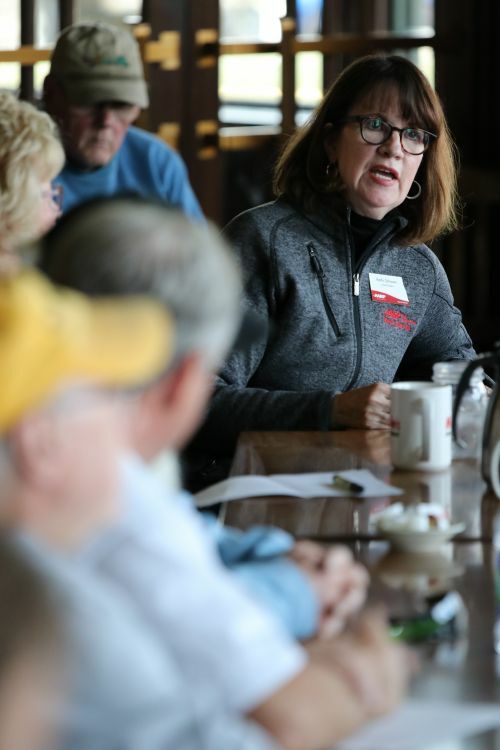 Those over ages 65 to 74 work out of necessity, three of ten families do not have any type of retirement savings, and seven out of 10 families have less than a year’s worth of finances saved, Kathy Schwan, of AARP, said. In 1990, only 12 percent of the workforce was 55 or older, while in 2016 workers 55 and older comprised 22 percent of the workforce and that percentage is increasing. The plaintiffs plan to argue that cuts to pension plans benefited the federal government by eliminating or reducing the coverage risk of the government’s insurance plan. The nonprofit and nonpartisan organization AARP and its 38 million members is the nation’s largest organization that works to empower Americans 50 and older. The group’s members also represent a formidable voting force, and although AARP does not endorse candidates, they do rally behind what they consider good legislation. Schwan encouraged people gathered during last week’s meeting to vote for candidates who back the Affordable Care Act and Medicaid Expansion. AARP is also an advocate of the Butch Lewis Act, she said. “Things look pretty bleak, and if you think of things like Medicaid Expansion has no influence on you, think again,” Schwan said. “He should have a mind of his own,” another person said. “I just really don’t understand what’s going on with him on this issue,” a third person said. “There’s a lot of tribalism going on, there really is,” Schwan said. The Fargo Committee to Protect Senior Rights have received cold shoulders from many of senators at the national level. “Republicans are not helping, they’re not showing up for meetings,” Callie DeTar said. Opponents of the Butch Lewis Act say they’re against the bill because they believe it would be another bailout. The Butch Lewis Act could cost anywhere from nearly a trillion dollars to $34 billion, but either retirees will be forced to survive on Medicaid Expansion or the protections within the Butch Lewis Act, either way, funds will come from taxpayers, Kooren said. America’s far right or the so-called “Alt-right” wants to eliminate unions and to some degree the State Department, Berg and Kooren said. Berg has had politicians laugh to his face after describing how unions, a vital force for today’s paid vacations, sick leave, minimum wages, child labor laws, overtime pay, pensions, worker’s compensation, health insurance, parental leave, among other issues, are suffering. As a Baby Boomer, Kooren, Berg and DeTar are fighting for what they and their parents were promised. Their generation may be considered by some as the flawed inheritors of World War II’s GI Generation with the sexual revolution, the Vietnam War, and illegal intoxicants. But they also tore down the Berlin Wall, brought the civil rights and women’s liberation movements, gave the world Woodstock, GPS, and computers. Now that boomers are at retirement age and are the major if not slowly disappearing force in current American politics, their contributions should not be forgotten, Kooren said. Political satirist and author of “The Baby Boom: How It Got That Way (And It Wasn’t My Fault)(And I’ll Never Do It Again),” P.J. O’Rourke summed up the differences best in an article he wrote for AARP Magazine.